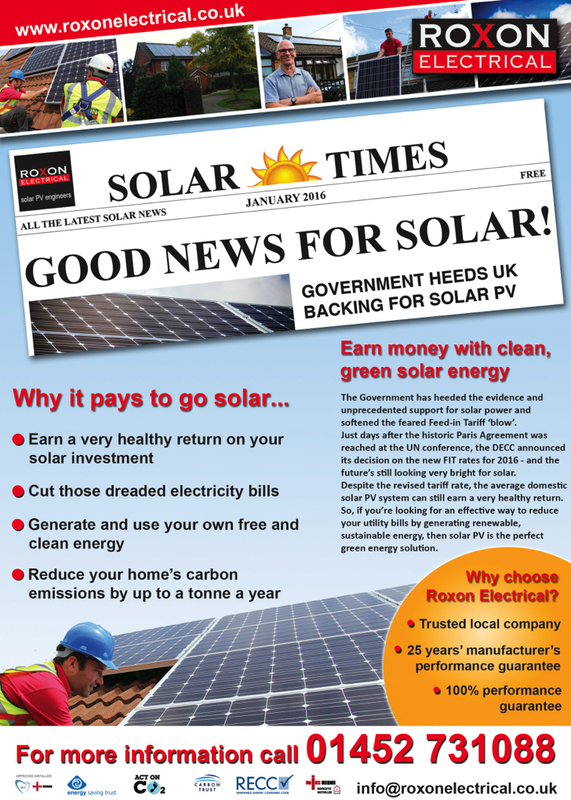 As well as harnessing the power of the sun, in more recent days Roxon has been harnessing the power of the local press to share some of its latest news with the world. 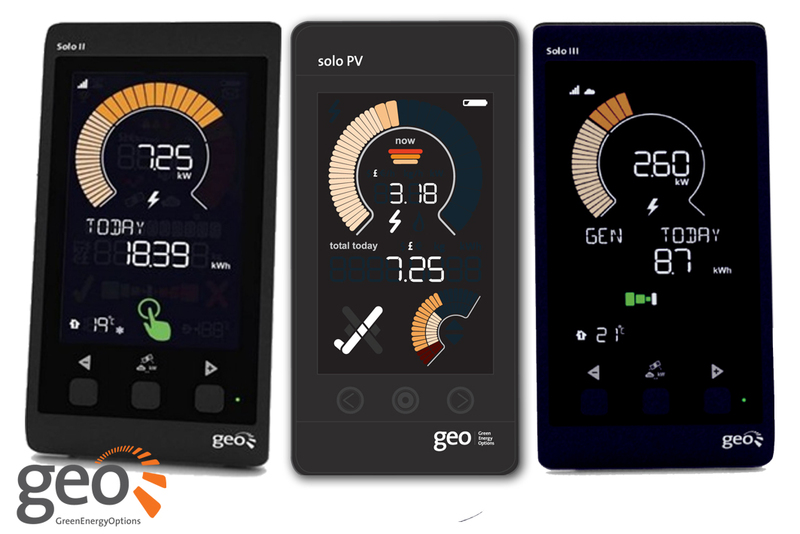 Within the past week the Gloucester Citizen and Gloucestershire Echo have very kindly published not one, but two articles on us. 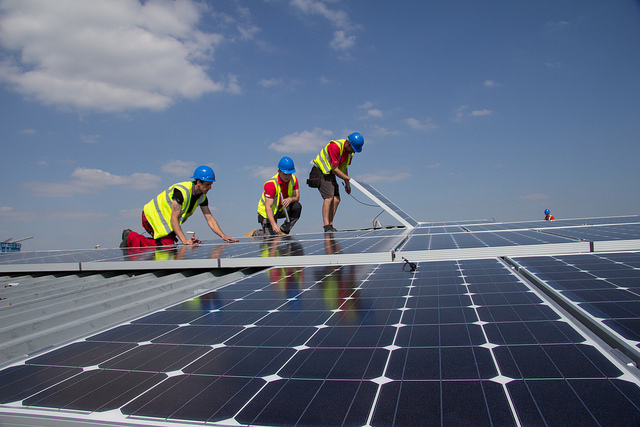 Anyone who received our summer newsletter may have read how the Lancaster Centre at Meteor Business Park in Staverton has recently celebrated the first anniversary of its 50kWp solar installation. 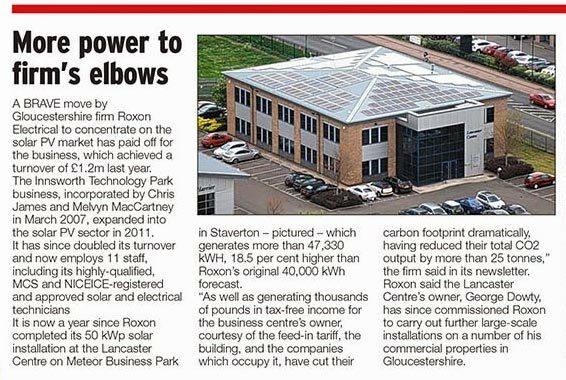 Generating more than 47,330 kWh in its first 12 months – a stonking 18.5 per cent higher than Roxon’s original 40,000 kWh forecast – the Lancaster has proven to be the first in a number of commercial installations carried out for the site’s owner, George Dowty, who has since gone on to commission a number of solar installations at Meteor’s sister site, Innsworth Technology Park. 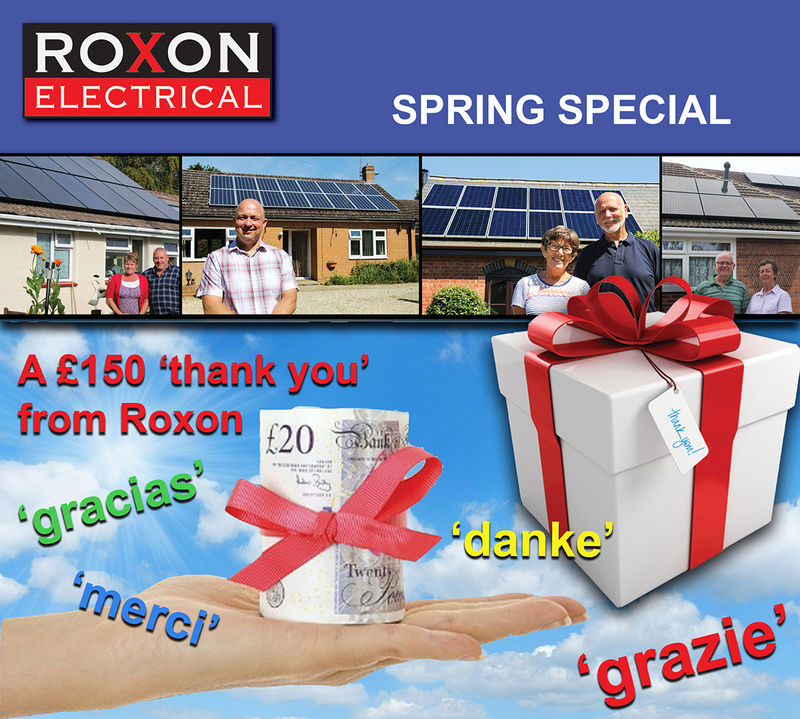 Mr Dowty is so pleased with the huge savings he is making on his electricity bills and the fantastic returns being realised through the FIT, he plans to have further solar installations carried out at a number of his other commercial properties… watch this space! Our second claim to fame comes in the shape of lovely Jordan, our newest apprentice, who recently celebrated his 18th birthday. Many happy returns Jordan! The former Crypt grammar school student started his apprenticeship with us in April last year and is proving to be a fantastic asset to the team. Jordan attends Gloucestershire College one day a week, where he’s studying an advanced apprenticeship in electrical installation to become a fully-qualified electrician. 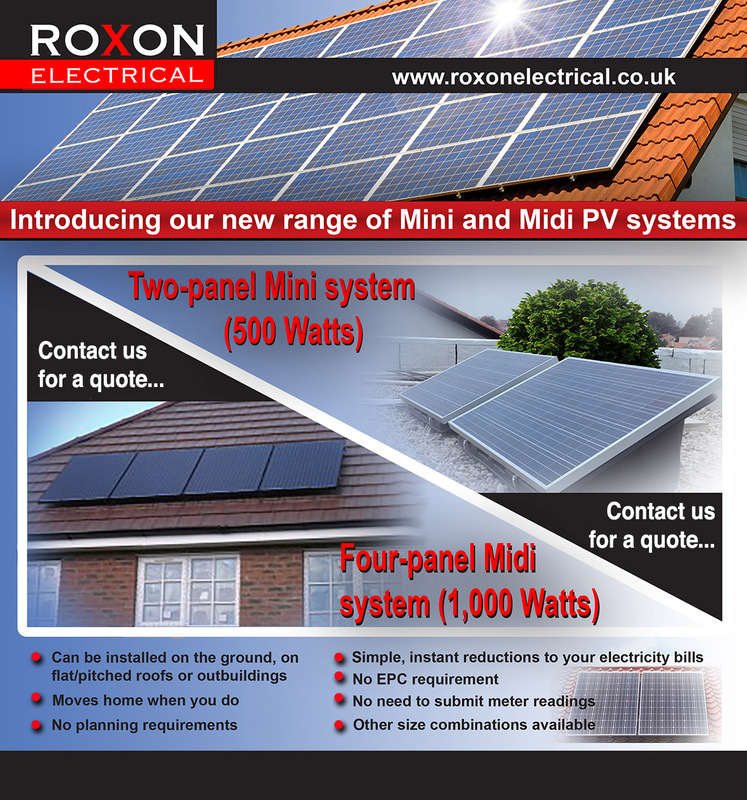 The remainder of the week he’s out on the road with the Roxon team, honing his skills and receiving practical grounding in all aspects of electrical installation.